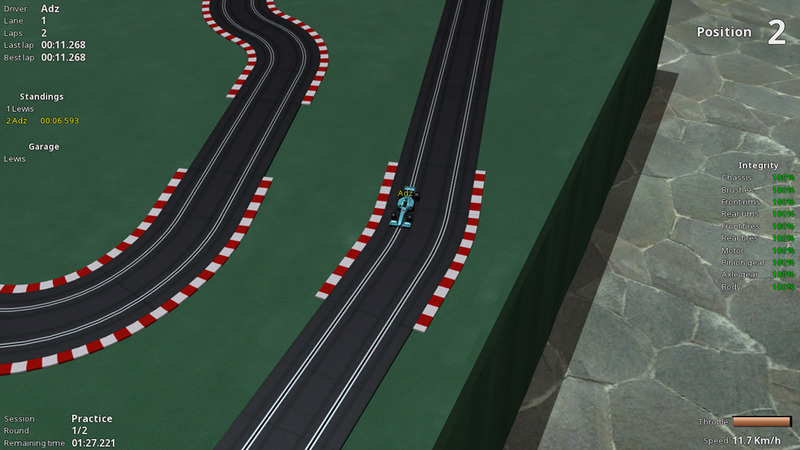 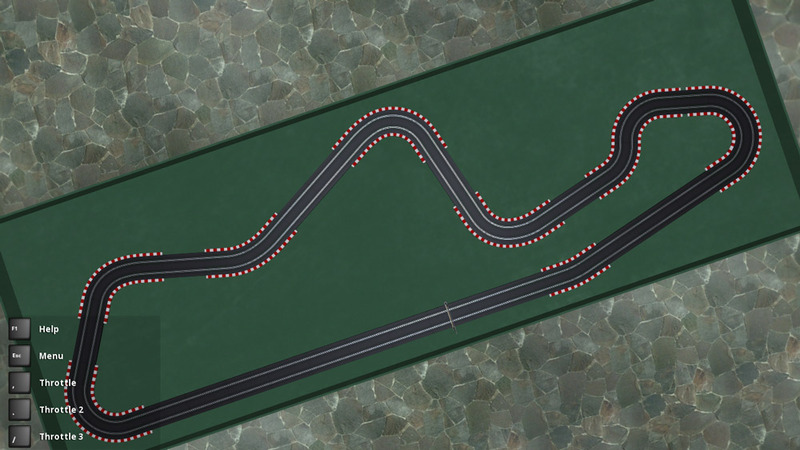 "A brief glimpse at a very promising slot car simulation"
Virtual Slot Cars Demo is a really fun idea of a game where you race slot cars round an electric track and it actually plays just like real slot car racing, take the turns to fast and your car will fly off the edge of the track! 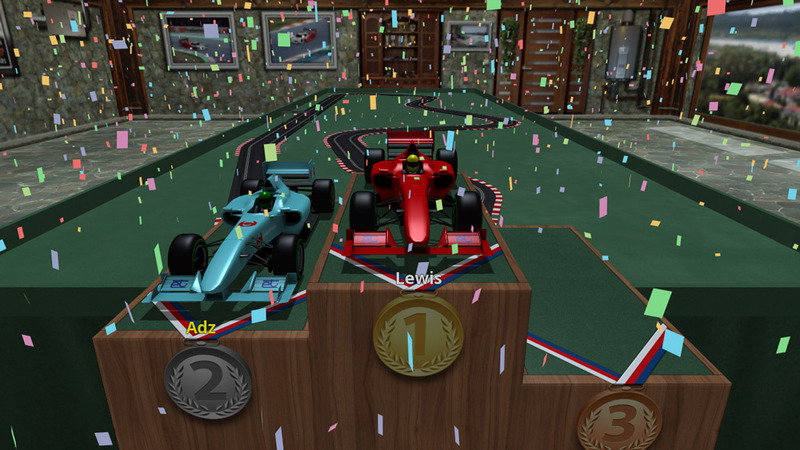 In this demo version of the game you are only able to race one track and against one competitor at a time but you do get a good feel for just how much fun this game is, there’s no option for local multiplayer sadly which would really have been the icing on the cake as this is the sort of game that would be a lot of fun to play against a real life opponent. 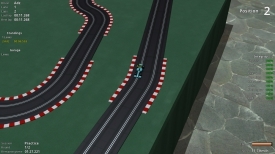 The controls are very simple using three different keys for each throttle level and although it’s very tempting to just hold down the fastest throttle button you will find yourself flying off the track at every sharp corner so you will need to adjust to dropping gears yet still trying to race round the track as fast as possible and although your opposition is AI controlled they are not easy to beat at all. 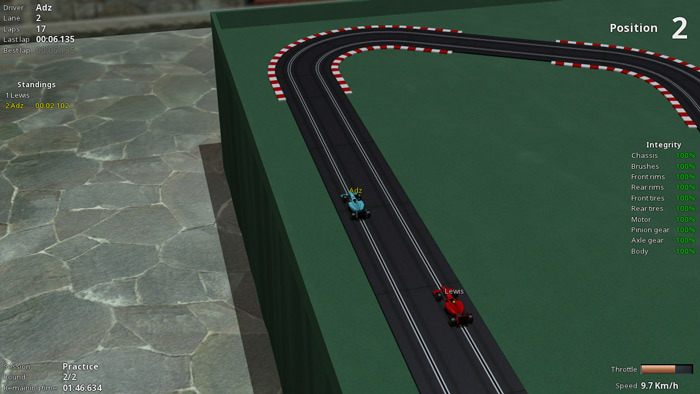 Virtual Slot Cars Demo shows a really promising game and the full version is available to buy on Steam but if you want to try it out and get a feel for this really fun racing game before splashing your cash on the full version then you can download the demo here for free.